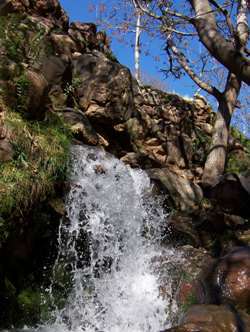 Join this incredible trek for a sneek peak into the hidden world of the Moroccan Atlas Mountains. We shall trek through tiny villages, beside crystal clear streams, and over windswept mountain passes. At every turn on this trek be prepared to be amazed. We have time to explore Marrakech, and stay in riad Accommodation - the traditional Moroccan style hotel, centred around a courtyard often with a tiny pool or fountain to offer cool in the summer heat. 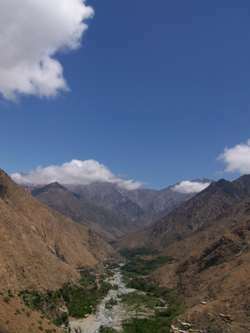 We then have 3 days of medium intensity trekking, followed by a night in the village of Imlil. We then return to Marrakech where you can either opt for a direct return home, or to spend one last night experiencing the wild sights of Marrakech. What is a Level 3.0 Trekking Challenge Like? These challenges are either longer, higher, or span several days. In the case of single day events, you can expect up to 9 hours trekking. In the case of a multi day trek, you can expect a lower daily duration, but of course the effort is sustained over a longer period. You need to be keen on physical exercise for these events, and to enjoy taking exercise, and do it regularly. Longer duration long haul treks are likely to be easier in terms of the physical walking, however you will need to be more resilient, due to simple living conditions. UK single day or weekend level 3 treks are suited to walkers and trekkers with some previous history of upland walking or alternatively a good amount of lowland training behind them. How Fit Do I need to be to join a Level 3.0 ‘Trek’? You need to have good endurance for these events. You must be used to doing very long walks in the countryside; 7 hours plus . You should be doing regular exercise, possibly with some running. Your running speed will be fairly steady; nothing too fast, and you should be able to run a minimum of 4 miles. If you do not run, you should be concentrating on other types of exercise but for longer periods of time (i.e. sessions in excess of 1.5 hrs). These other forms of exercise should be at a moderate to high level. e.g. spinning, circuits, swimming, or other sports.